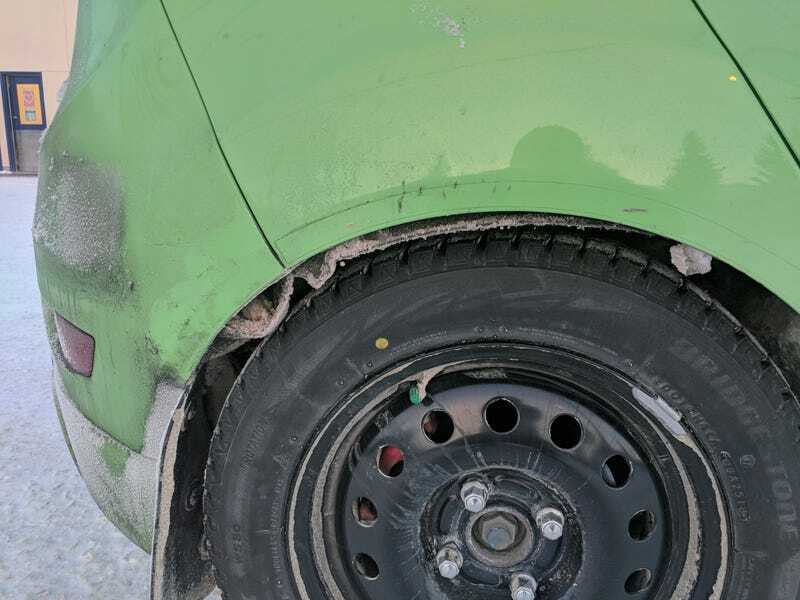 Got a hole in my fender lining, it filled with snow, and has pulled down. Going to clean the car and get it somewhere warm so the snow can melt, and I’ll see where to go from there. Here’s a car that never would have caused me problems. UPDATE: I washed it and it froze since it’s-30. So now it’s a future CB problem since it froze out of the way.